Canada has a well-deserved reputation for welcoming newcomers with immigrant admission rates among the highest in the world on a per capita basis. Over the past ten years the country has accepted approximately 200K of these "new Canadians" each year. This stands in contrast to the US who is not as welcoming as their Canadian counterparts in reaction to 9/11 and other terror attacks and some American commentators have questioned Canada's accommodating ways and ability to assimilate immigrants who may have been radicalized. Canadian immigration policy was originally enacted to populate the vast, largely unsettled lands of Western Canada. Few who could pay for a chance to homestead were denied the opportunity. By the early 1900s, immigration policy began to change to exclude non-European applicants. These exclusions were set aside in 1976 when the government of then-Prime Minister Pierre Trudeau eliminated criteria based on ethnicity. 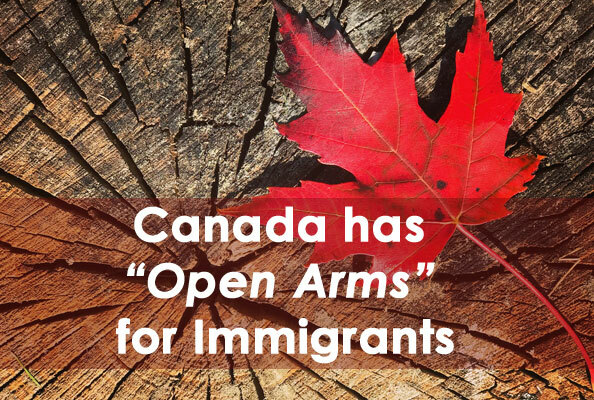 Canada quickly became a magnet for immigrants from across the globe which has not changed in the subsequent years. In fact, recently, Trudeau's son Justin who became Prime Minister in 2015 has announced the intention to increase immigration numbers to 350,000 per year. New Country - Who Dis? Countries which have supplied the highest number of immigrants to Canada* include the Philippines in top spot followed by India, Syria, China and Pakistan. In 2016 these five countries accounted for 154,690 of Canada's newcomers while the next 20 countries in the list made up about half that amount. Family Reunification applicants who want to bring over family members left behind in the "old country"
Refugee claimants who are the smallest slice of the immigration pie and are seeking asylum protection or have humanitarian concerns. Those who are successful at gaining "landed immigrant status" in Canada have many programs available to help them resettle in their new country. These include health and social service programs as well as language training in their choice of official language. Despite these generous programs, studies have shown since the 1980s, new Canadians appear to have more difficulty in fitting into Canada's employment landscape due to language issues or Canada's occasional unwillingness to recognize professional qualifications earned in their previous country. Other studies indicate first generation economic immigrants of colour do tend to have less earning power than their fellow citizens, however improvements occur in second and third generation populations who earn about the same as the non-immigrant family counterparts. Asylum seekers in Canada enjoy opportunities found in few other countries. Every refugee, regardless of country of origin, is offered a hearing to make the case why they should be allowed to remain. Following approval of the Immigration and Refugee Board, refugees can then apply for permanent residency. This process has many critics who claim the refugee program is simply a "back door" method of gaining residency, as this group of newcomers avoids the long waits and significant costs of normal immigration channels. These critics also have brought up security concerns with our comparatively lax refugee rules which allow freedom of movement within the country for those awaiting a residency determination. This makes deportation for failed claimants extremely difficult and it can often take years to track down these individuals. Only about half come forward voluntarily to be returned to their original country. there are also critics who are concerned about the growth in Muslim populations in Canada which have doubled from 580,000 in 2001 to the current 1.2 million. Canada also offers opportunities for foreign workers to come to the country to work in areas which lack an adequate home-grown workforce. Although some work in highly technical niche jobs, most end up in service industry occupations. If done correctly, the Temporary Foreign Worker (TFW) program does offer a somewhat shorter and much less expensive route to Canadian permanent residency. Does Canada have an undocumented immigrant problem? It depends on who you ask. Traditionally those who have gained entry into the country but have been denied their residency request and have been slated for deportation averaged between 100,000 and 200,000 until 2016. This number has skyrocketed recently, however, as an estimated 50,0000 or more refugees have flooded into Canada across the border from the US just in 2017 alone. This influx has reportedly swamped the refugee system and is creating even more undocumented immigrants, as about a third of these claimants get rejected for various reasons.